"When she was a baby, a confusion of brothers and sisters surrounded her. She barely recalls their faces, only the fringe of their dense hair leaning into her carton crib. Most days, Celia lay under a fan palm beside the bohío, its thatched roof steaming after the morning rains. She remembers this infant landscape, the waving haze of fronds through the torn netting that someone fastened to her face to keep out the flies." (p. 92). When she is only four years old, Celia is sent by her mother to live in Havana with her Tia Alicia. The reasons aren't quite clear - but Garcia implies that Celia's mother is neglectful. El Encanto is Havana's finest department store - expensive and stocked with foreign goods. Celia works at the photography counter, selling cameras and film. It is here that she meets Gustavo Sierra de Armas a married Spanish lawyer on from Granada The two have an affair. Following the departure of Gustavo, Celia sinks into what seems to be depression. She stays in her bed for months, completely passive, ineffectual and miserable. Celia seems to suffer from depression after she gives birth to Lourdes. Indeed, her household situation living with Jorge's bitter sister and mother is intolerable. Later, Jorge says that he wanted to "break" Celia, to make her forget "the Spaniard" (Gustavo). Following Fidel Castro's failed attack on the Moncada barracks, Celia protests in Havana for their release from prison. The wedding takes place at the Tropicana hotel, a popular gathering spot for the wealthy supporters of Batista - including Rufino's family. Felicia decides to murder her husband. Felicia lit a rag and approached Hugo as he slept on the couch. “You will never return here,” Felicia said and released the flames onto his face. Hugo did not return for nine years. Felicia tries to kill herself & Ivanito. Rhode Island School of Design is a fine arts and design college located in Providence, Rhode Island contiguous with the Brown University campus. The school consistently ranks as the number one fine arts college in the United States. Garcia doesn't mention RISD by name, but likely is what she means. Javier had "d talked of going to the mountains, of planting coffee on the forested slopes. He said he’d descend to Santiago for carnival and dance to the fifes and the melé, to the snare and the batá drums, that he’d die (in sequins and feathers) at the head of a conga line in Céspedes Park. Lourdes dreams about Javier. In her dream, Ilda Limón "found a man face down in a pool of night rain in her yard and swears it’s Javier del Pino, although her eyesight is no longer so good. Her neighbors tell Ilda she’s crazy, that it’s not Javier but just a poor wretch who tripped on the roots of her gardenia tree and drowned." After Pilar catches her boyfriend cheating on her, she buys a bass guitar. The first songs she practices are from Lou Reed's "The Velvet Underground and Nico." After a semester of art school in Rhode Island and another semester in Florence, Pilar transfers to Barnard. Founded in 1889, Barnard College is a private liberal arts school for women affiliated with Columbia University. It’s located in the Morningside Heights neighborhood of Manhattan. It is highly selective and comparable to ivy league schools. The Ten Years War of independence ends in a truce with Spain promising reforms and greater autonomy - promises that were mostly never met. 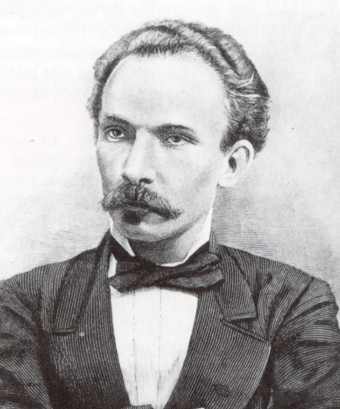 The poet and activist Jose Marti galvanizes the Cuban people into a revolution against Spain. The US does not intervene on Cuba's behalf until later. Unfortunately, tragically, Marti dies early in the battles and becomes a martyr. This war between the US and Spain granted Cuba its independence. However, the US maintained a presence on the island for many, many years as it considered its own best interests. The El Templete church was built next to a great Ceiba tree in 1928. It’s not clear when the tree was planted. The tree was highly revered by the natives who attributed it with magical-religious powers. People say that both the first religious ceremony and first town council meeting took place there. It’s a custom for Havana residents to circle it three times as they touch, hug and kiss it. At each turn they drop coins. Some represent wishes, others gratitude for dreams that came true. Celia has a special connection to the Ceiba tree. Note, for example, that their names are the same except one letter. She frequently visits it with concerns and needing help. Her devotion to the tree is interesting given her aversion to santería. Santería, of course, is a religion that was deeply influenced by mystical African and indigenous beliefs and rituals. Herminia, who practices Santería, also visits the tree. Another interesting point is that García frequently references the tree without going into the background of its significance, or the rituals surrounding it. Instead, the reader is left with scenes of the characters’ interaction with it. “After her sleepless night in the house on Palmas Street, Celia wanders to the ceiba tree in the corner of the Plaza de las Armas. Fruit and coins are strewn by its trunk and the ground around the tree bulges with buried offerings. Celia knows that good charms and bad are hidden in the stirred earth near its sacred roots. Tía Alicia told her once that the ceiba is a saint, female and maternal. She asks the tree permission before crossing its shadow, then circles it three times and makes a wish for Felicia” (43). 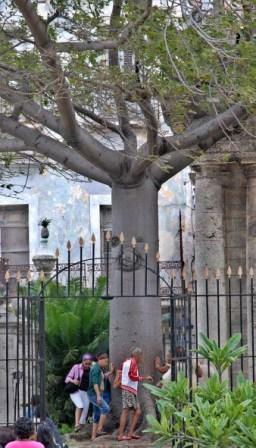 Celia frequently stops by the ceiba tree in the Plaza de las Armas on her way home from Palmas Street. She places an orange and a few coins by its trunk, and says a short prayer for her daughter. Now and then she runs into Herminia Delgado carrying baskets filled with crusty roots and ratoons and fresh, healing spices for Felicia. Aniseed for hysteria. Sarsaparilla for the nerves and any remaining traces of syphilis. River fern and espartillo to ward off further evil. Herminia never mentions the ceiba tree, but Celia recognizes the distinct cluster of its leaves among her many herbs” (90). “Tía Alicia took her to museums and the symphony and the ancient ceiba tree. Celia ran around it three times for every wish, until the tree repeated itself like a flashing deck of cards” (33). “There’s something about the vegetation, too, that I respond to instinctively—the stunning bougainvillea, the flamboyants and jacarandas, the orchids growing from the trunks of the mysterious ceiba trees” (235). Celia attends the talks by Spanish poet Federico Garcia Lorca and falls in love with his writing, especially the Gypsy songs. Ernest Hemingway was awarded a Pulitzer in 1952 and received the Nobel Prize in Literature in 1954 for The Old Man and the Sea; meanwhile Cuban-born actor and musician Desi Arnaz sang his signature song, “Babalu,” on the television show “I Love Lucy.” Fidel Castro and Argentinean revolutionary Ché Guevara joined forces in 1956 to overthrow Fulgencio Batista in a peasant-based social revolution. "El Líder, a star pitcher in his youth, narrowly missing a baseball career in America. His wicked curveball attracted the major-league scouts, and the Washington Senators were interested in signing him but changed their minds. Frustrated, El Líder went home, rested his pitching arm, and started a revolution in the mountains" (6). However, many have said that this story is just a rumor, such as Yale professor Roberto González Echevarría. This attack on a government barracks - although it failed disastrously - marks the start of Castro's revolution. It gave Castro the opportunity to prove himself as a leader and defend himself - while pronouncing the causes and values of the revolution. Alicia Alonso forms the National Ballet Company of Cuba in 1966..
Alicia Alonso (born December 21, 1920) is the Cuban prima ballerina assoluta and choreographer. Her company became the Ballet de Cuba in 1955. After the failed attack on the Moncada Barracks (and his subsequent imprisonment), Fidel Castro regroups. He arrives by boat from Mexico to Cuba and camps out in the Sierra Maestra, where he wages a guerilla war that is eventually successful. These laws mandated the confiscation and redistribution of land. They were the impetus of many - the upper class in particular - to leave Cuba. Fidel Castro's revolution triumphs. The guerrillas take Havana and dictator Fulgencio Batista flees the island. In the mid-1960s, a new form of music became popular: nueva trova, inspired by and idealizing the Revolution of 1959. The United States severed diplomatic relations with Cuba in 1961. In 1962, the thirteen day “Cuban missile crisis” raised the specter of nuclear war as President John F. Kennedy and Soviet leader Nikita Khruschev negotiated the removal of nuclear missile bases being built in Cuba, ninety miles off the Florida coast. Operation Peter Pan (Operación Peter Pan or Operación Pedro Pan), was an operation coordinated by the United States government, the Roman Catholic Archdiocese of Miami, and certain Cubans. Between 1960 and 1962, over 14,000 children were sent from Cuba to Miami by their parents. The operation was designed to transport the children of parents who opposed the revolutionary government, and was later expanded to include children of parents concerned by rumors that their children would be shipped to Soviet work camps.The children were placed with friends, relatives and group homes in 35 states. Fidel Castro declares the country to follow a socialist brand of communism. This will ally it with Russia and China, enabling aid and support from those countries. Celia had sold cameras at El Encanto department store before the revolution. It was high end and exclusive. The Cuban missile crisis ignites when, fearing a US invasion, Castro agrees to allow the USSR to deploy nuclear missiles on the island. The crisis was subsequently resolved when the USSR agreed to remove the missiles in return for the withdrawal of US nuclear missiles from Turkey. 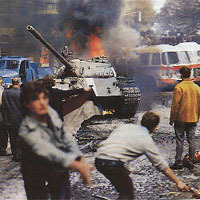 The Warsaw Pact troops, led by the Soviet Union, make a raid on Prague to cut down on reformist trends. Scores were killed in the invasion. A repressive communist regime was established in the aftermath. Cuba was NOT directly involved with the attack, but did have ties to the Soviet Union. The event was condemned by countries around the globe. Cuban novelist, poet, and essayist Reinaldo Arenas was sent to prison by the Castro regime in 1973 after being charged and convicted for “ideological deviation” (Arenas was homosexual) and for publishing abroad without official consent. He was exiled via the Mariel Boat Lift. The Organization of American States lifted economic and diplomatic sanctions against Cuba in 1975; later that year, the United States allowed its foreign subsidiaries to trade with Cuba. Milagro gives her father, Hugo Villaverde, an Irakere jazz tape in 1976. During this period, Cuba was heavily involved in the Angolan Civil War. It sent troops and helped plan battles, as well as worked to establish a communist government. Cuba's involvement ended with the fall of the Soviet Union, and the beginning of Cuba's "Special Period in Time of Peace." The war is mentioned when Lourdes, after being raped, has a vision of what will happen to her abductor. She envisions that he will have a rotting leg in Africa. In another instance, Herminia says her oldest son has died in Angola. Celia Cruz (October 21, 1925 – July 16, 2003) was a Cuban-American salsa singer, and was one of the most successful Salsa performers of the 20th century, having earned twenty-three gold albums. She was renowned internationally as the "Queen of Salsa" as well as "La Guarachera de Cuba.She spent most of her career living in New Jersey, and working in the United States and several Latin American countries. Celia Cobo of Billboard Magazine once said "Cruz is indisputably the best known and most influential female figure in the history of Cuban music." The code says that a marriage should be based on equality between both spouses. Husband and wife have equal responsibilities to care for their family members and must cooperate to provide the best upbringing for their children - including a socialist education. Celia governs as a civilian judge according to this code. Text: "Since the Family Code passed earlier this year, more and more people are turning to the courts with their problems. Women who claim their husbands are not doing their share of their housework or who want to put a stop to an extramarital affair bring the matter before a judge. Very few men, however, take their complaints to the People’s Court for fear of appearing weak or, unthinkably, as cuckolds" (112). Fidel Castro becomes president of Cuba. With this program, Cuban exiles are permitted to briefly return to visit with their families. In 1968, Heberto Padilla was awarded the national prize for poetry for Fuera del Juego (Out of the Game). Soon after, he was labeled “counter- revolutionary” and he was placed under house arrest. 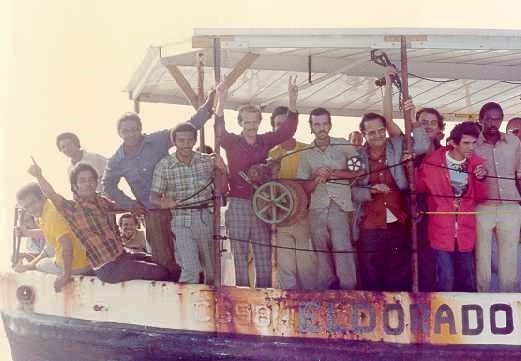 In 1980, Senator Edward Kennedy secured Padilla’s release to the U.S. Castro relaxed emigration policies in 1980, allowing more than 125,000 Cubans to leave the country. This “Mariel Boat Lift” lasted for six months. Sanchez was a participant of the Cuban Revolution and a close friend, and rumored lover of Fidel Castro. In the book, during the scene at the Peruvian Embassy, someone says that Fidel's mistress just died and he hasn't been himself. 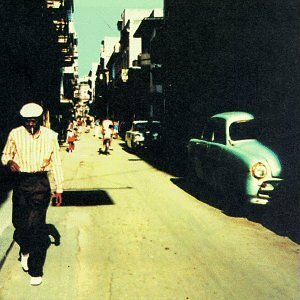 In 1999, PBS aired “Buena Vista Social Club,” documenting elderly Cuban musicians brought out of retirement to talk about, and play songs from, the golden age of Cuban music. The U.S. Congress passed The Helms-Burton Act (The Cuban Liberty And Democratic Solidarity Act) in 1996, granting American citizens the right to sue foreign investors profiting from expropriated U.S. assets. In February 2007, Voice of America reported a ration book allows Cubans to “buy limited stocks of food at government-run stores. Ten eggs a month, two kilos of sugar, half a kilo of chicken, a bar of soap, and every day just one bread roll . . .”. While the U.S. maintains its 40-year-old embargo, Canada, Spain, Italy, and other countries have invested more than $4 billion in international tourism and other Cuban goods. "My mother used to take me for walks in Central Park. Once, an agent from the Art Linkletter show stopped us at the Children’s Zoo and asked my mother if I could be on the show. But I didn’t speak English yet so he passed" (32). "Rufino has taken to raising pigeons in wire-mesh cages in their backyard the way he saw Marlon Brando do in On the Waterfront. He prints messages on bits of paper, slips them through metal rings on the pigeons’ legs, then kisses each bird on the head for good luck and lets it loose with a whoop" (131). *Note: This was an equally significant event for the US and Cuba. Thus, it is included in both sections of the timeline. “She remembers seeing robots at the World’s Fair ten years ago. She and Rufino and Pilar ate in a restaurant observatory shaped like a spaceship. The food was terrible. The view was of Queens” (131). Perhaps this quote also serves to inject humor, a quality that García values. Apollo 11 was the spaceflight which landed the first humans, Neil Armstrong and Edwin "Buzz" Aldrin, Jr, on Earth's Moon on July 20, 1969. The United States mission is considered the major accomplishment in the history of space exploration. Apollo 11 was the fifth manned mission, and the third lunar mission, of NASA's Apollo program. The Soviet Union performed the first moon landing in 1959 by destructively crashing the Luna 2 spacecraft at high speed onto the lunar surface. During the time of the Cold War, such contests to be the first on the Moon with a particular capability was one of the most visible facets of the Space Race.Upon stepping foot on the Moon, Neil Armstrong famously said: "That's one small step for a man, one giant leap for mankind." Pilar, at 10 years old, ridicules his choice of words: '“He had months to think up something and that’s all he could say?” Pilar was only ten years old and already mocking everything" (128). Jorge watches game from the Sisters of Charity Hospital where he is being treated for cancer. "Through the living-room curtains, I see five of my uncles lined up on two sofas and a La-Z-Boy, grumbling over the news. They’re arguing over whether Angela Davis, who’s on trial in California for murder, kidnapping, and conspiracy, is one of El Líder’s agents or a direct emissary from Moscow. “She’ll never be acquitted,” Tío Arturo says in Spanish. “Mark my words.” “Forget it, hombre, they’ve bought that jury lock, stock, and barrel,” Tío Osvaldo shoots back" (61). In this New York correctional facility, about half the inmates rebelled and took control of the prison, seizing guards as hostages. The riot ended four days later with a police attack. Altogether, at least 39 people died. Pilar recalls this major event as she considers her mother's foray into citizen policing. "My mother—all four feet eleven and a half inches and 217 pounds of her—patrols the streets of Brooklyn at night in a skintight uniform, clanging with enough antiriot gear to quash another Attica" (136). Cuban-Americans who came of age in the era of Watergate and Vietnam no longer defined their ethnicity on the anti-Communism, the Cuban revolution and exile politics. "Pilar makes fun of Lourdes in her uniform, of the way she slaps the nightstick in her palm. “Who do you think you are, Kojak?” she says, laughing, and hands her mother a lollipop" (132). This is one of the few albums that Lourdes and Rufino own, according to Pilar. They also own a couple of "Herb Alpert and the Tijuana Brass" albums, plus "Alvin and the Chipmunks Play Their Favorite Christmas Carols" - bought for Pilar when she was little. "The last of the Jews have moved out of the neighborhood. Only the Kellners are left. The others are on Long Island or in Westchester or Florida, depending on their ages and their bank accounts....Black faces, Puerto Rican faces. Once in a while a stray Irish or Italian face looking scared. Lourdes prefers to confront reality—the brownstones converted to tenements in a matter of months, the garbage in the streets, the jaundice-eyed men staring vacantly from the stoops" (128). Lourdes clips recipes from "American Circle,"
"She makes food only people in Ohio eat, like Jell-O molds with miniature marshmallows or recipes she clips from Family Circle. And she barbecues anything she can get her hands on. Then we sit around behind the warehouse and stare at each other with nothing to say. Like this is it? We’re living the American dream?" (137). The "Son of Sam" serial killings mentioned by Lourdes were conducted by Daniel Berkowitz - still imprisoned for his crime. He said that he had been commanded to kill by a demon who possessed a neighbor's dog. To Lourdes, the killings represent an incomprehensible peril, and she is slightly worried for Pilar. "Lourdes turns and strides past Brooklyn’s sooty town hall, past the state supreme court, where the Son of Sam trial will take place. Lourdes can’t understand what happened with Son of Sam, only that he exists and that he had a dog that commanded him to kill. His victims were girls with dark flowing hair, young girls like Pilar. But, no matter what Lourdes said, Pilar refused to pin up her hair or hide it under a knitted cap as other girls did. No, Pilar let her hair swing long and loose, courting danger" (167-168). The opening of Lourdes' second business, the Yankee Doodle Bakery, coincides with the bicentennial of the United States. Lourdes is proud of her patriotism and devotion to her new country, in a way that reflects her mother's loyalty to Cuba. Lourdes hosts a grand opening party for the bakery that's meant to pay tribute to America. She invites Pilar to create a new painting for the occasion. But Lourdes doesn't realize what Pilar has painted - a Lady Liberty who can't quite reach her torch, and wears a safety pin through her nose. The bottom of the art work reads I'M A MESS, Pilar's favorite punk cry. However, despite her distaste for the painting, Lourdes stands by her daughter's work. "Lourdes felt a spiritual link to American moguls, to the immortality of men like Irénée du Pont, whose Varadero Beach mansion on the north coast of Cuba she had once visited. She envisioned a chain of Yankee Doodle bakeries stretching across America to St. Louis, Dallas, Los Angeles, her apple pies and cupcakes on main streets and in suburban shopping malls everywhere" (170-171). In the corner, a neat stack of American magazines features page after page of luridly sculpted men in contorted poses. In one centerfold, someone named Jack La Lanne tows a rowboat with a rope held between his teeth. The words in the caption look insect bristly. Felicia cannot understand them" (152). Lou Reed records "Take No Prisoners"
Pilar attends Lou Reed concerts at the Bottom Line club, where he records a live album, "Take No Prisoners." Several years later, a record shop plays the CD and Pilar feels slightly nostalgic for her youth. "I’m learning more English this way but it’s a lot different from Abuelo Jorge’s grammar books. If I’m lucky, I can tune in the Wolfman Jack show on Sunday nights. Sometimes I want to be like the Wolfman and talk to a million people at once." (192).